Join us to learn how conversational interfaces like chatbots and voice-first devices are changing design and how to design for conversational experiences. Voxable sees an amazing opportunity to advance humanity by designing and developing technology that understands us better. Conversational interfaces, like chatbots and voice-first devices, help extend a product’s reach and grow a brand. There’s a wide array of conversational opportunities: marketing, commerce, customer support, consumer apps, and enterprise apps. This workshop will demystify how machines understand humans as well as how designers can create more intuitive interfaces. Attendees will gain a foundational knowledge of the conversational design process and learn how to craft rich conversational experiences for all users and use cases. 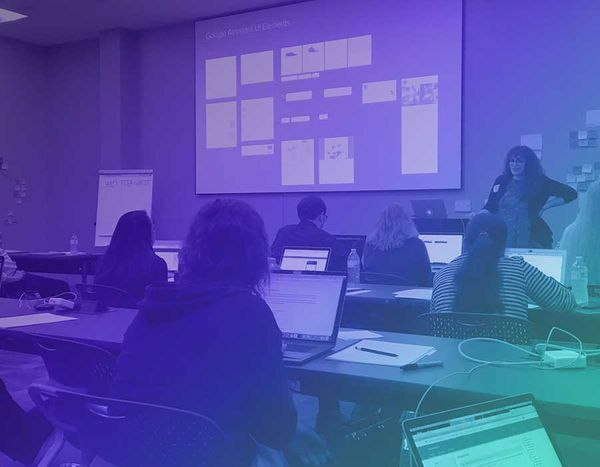 We recommend that workshop attendees have a strong grasp of interaction or UX design. Lauren's personal mission is to bring more designers, writers, and UX practitioners into a conversational design discipline. She believes conversational interfaces and platforms have not yet reached their full potential and designers have a huge opportunity to address their user's needs better through conversational design. As CEO and Co-founder of Voxable, she helps companies and teams adopt conversational design practices and build robust conversational interfaces. She regularly writes, speaks, and facilitates workshops about conversational design.